World War I Bridges - WW1 Centenary from the river Piave: Why Centenary? The recent announcement of National Archives about the possibility of having more than 1.2 million pages of 300,000 digitised diaries available represents a good news and something frightening at the same time. 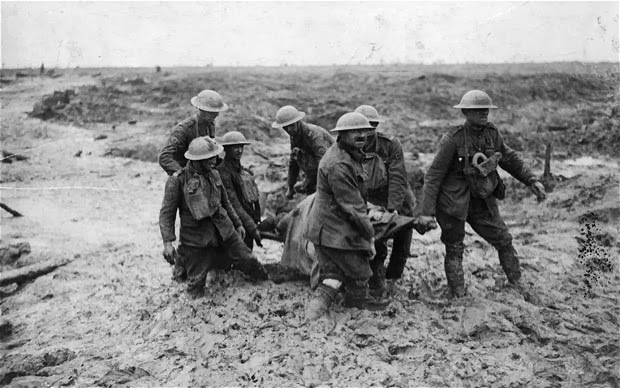 We all have seen that the year 2014 has started with a generalized frantic (sometimes even hysterical) warm-up around the themes of World War One Centenary and in such way we all really run the risk of forgetting why we (have to) remember. In other words, mainly in the politicians’ speeches we are already detecting a strange mixture of arrogance, pride, embarrassment and pointless declarations about the Great War and its legacy. The problems often rise when their declarations take off and land on a political map. Forgetting for a while about numbers and recurrence, all the players now active in the Centenary machine should ask themselves what’s the main goal of such Centenary. This is really a turning point: either we understand it as new knowledge opportunity or we are going to throw away a great one-off (in a lifetime) historical knowledge challenge.